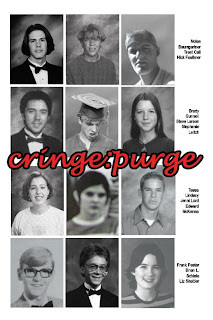 Sam Weller's Gallery on the Mezzanine presents Cringe:Purge, a high school retrospective. Featuring the poignant past high school works of more than 15 utah artists, including (in alphabetical order) Nolan Baumgartner, Trent Call, Brady Gunnell, Steve Larson, Stephanie Leitch, Tessa Lindsay, Edward McKenna, Brian L. Schiele, Xkot Toxsik, Sri Whipple, and Sabina Wise. 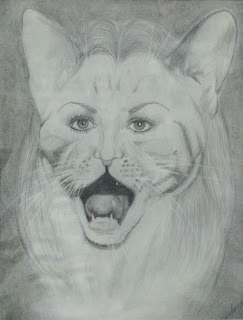 Do join us for the opening reception next gallery stroll, Friday August 15th 6-9pm, or stay posted for image archives. This will be an amazing and diverse show, with painting, drawing, photography, sculpture and ceramics full of angst, awkwardness and passion. Every two months the new book buyers at Sam Weller's select an exceptional book to review and recommend to our fellow readers. To show our support of the quality of the book, we offer it at Weller's for 20% off cover price! 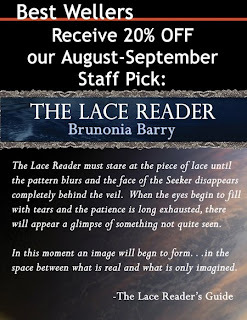 Our pick for August-September is The Lace Reader by Brunonia Barry. Read our review on our e-newsletter BOOKTALK. 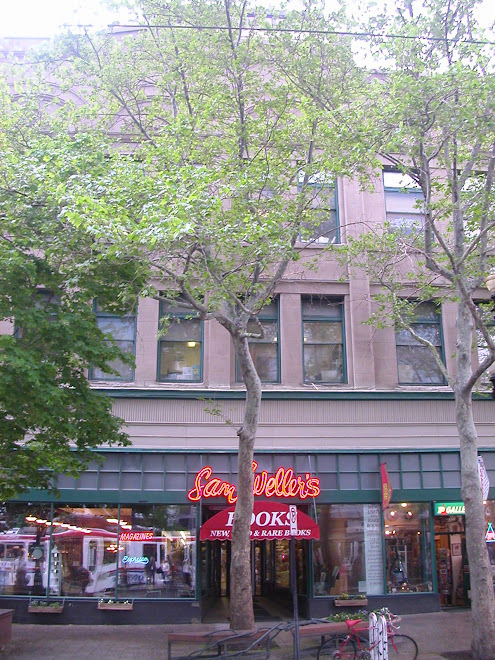 Enjoy highly-recommended books for 20% off at Weller's..